Before you rush download make sure to read this article for complete usage and installation guide where I have tried sharing the best features of Titanium Backup Android. Finding the best backup tool is not as easy as it seems. choosing a wrong tool will let you erase all your data forever. When it comes to backup tool our first recommendation is always Titanium Backup is the best tool if you are looking for a safe and secure backup tool. What is Titanium Backup Pro Android? Titanium Backup Pro is a backup utility for Android devices that helps you to back up your Android system and user applications data along with the data stored on external storage. The can be recover if your phone is corrupted or you tried to flash your ROM, Titanium Backup Pro will save hassle to get your Android phone loaded up just as it was before. With Titanium Backup Pro APK Download you can move the data of any app, and the data from your phone storage or SD card storage app and also you can browse data of any app even query the Market to see detailed information about the app. Offers Multiple Backups for each installed app. Backup and Restore your SMS, MMS, calls, bookmarks, Wi-Fi passwords. Multi-user app data with the pro version. Sync with Box manually or scheduled in the pro version. TB Web Server Connectivity: upload or download all your backups in a ZIP on your PC's. User Apps and System Apps Convertibility. "Destroy all Market links" feature at once. Hypershell speed with Pro version. Titanium Backup APK offers Backup apps without closing them! Create your own update.zip containing apps+data! Restore individual apps+data from non-root ADB backups! Unlimited schedules to set backups. Send backup (to e-mail or cloud) and import it in a single click. Safety advice :We recommend avoiding "modified" Titanium Backup Pro versions and Titanium Backup Pro because they can cause various problems down the road. How to use Titanium Backup Pro APK? Make sure the Titanium Backup Pro has successfully installed without warning and that your busybox says OK.
Click on the Menu, Batch. Then click on “Backup all user apps” (Only for Apps backup) or click on “Backup all user apps + system data” (for everything backed up). Remember your SMS messages and Contact history might not backup. Let the backup process to complete, then go back to the main backup tab. For Customized backup select "Individually backup" the system data will appear on green-colored items. This includes your bookmarks, call log, calendar, launcher, WiFi, etc. Let the process complete without any errors. Your backups are stored in the “TitaniumBackup” directory on your SD card. Depending on the data available on your phone, the Titanium Backup Pro process will take several minutes. "Internet" is used to access Market, Dropbox, ChangeLog. "Accounts" is used to access Market. How to install Titanium Backup on Android? The Titanium Backup Pro is not available on the Google Play Store. 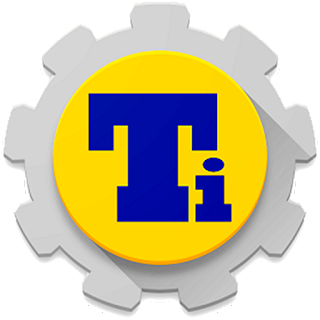 Download Titanium Backup Pro APK Download for Android, by click on the link given below. Wait for the download to be completed. Press on the "Install" and follow the procedure if installation. You have to enable unknown sources before installing APK. Go to Phone Settings, find Security scroll down until you find Unknown Sources check them "Enable". this will allow installing APK outside the Play Store. Titanium Backup Pro APK requires ROOTED Devices. Supports more than 32+ Languages. PRO Key is available on Play Store!